In the spirit of my last post, “What If Your Decorating Budget is $0?” I thought I would compound a list of affordable ways to update every room in your home. These are all tips that I am currently putting into practice, myself… some more successfully than others! So often, we hold onto things because they’re still too good to throw away or “might come in handy some day.” Sometimes, we’re too lazy or we forget to find new homes for outcast furniture (much easier to just stash it in the basement.) Sometimes, we’ve inherited pieces we can’t really use, but feel guilty about getting rid of. Well, get rid of them! Be ruthless. Donate furnishings or accessories that are still in good shape… someone less fortunate will be grateful to have them. Throw out what is broken, no longer functional, or anything you’ve simply outgrown. Pare down your collections. Keep only what you truly love and use regularly. Not only will this create space and free up storage, but it will bring new, lighter energy into your home. Arts & Crafts founding designer (and my hero) William Morris once said: “Have nothing in your house that you do not know to be useful or believe to be beautiful.” That’s pretty much the best interior design advice you are ever going to get. 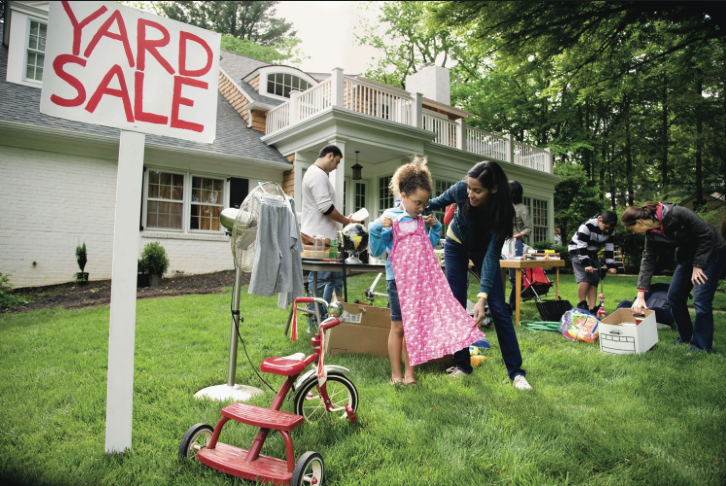 Once you’ve separated the wheat from the chaff, unload all your old stuff by having an awesome yard sale. This serves a dual purpose… to clear your house of clutter, and raise funds for new design projects! This is one of the most basic, but effective ways to instantly feel house-proud. Clean it. Don’t just tidy, don’t just straighten up… Get into the corners. Dust all surfaces, vacuum the baseboards, wash the floors, mirrors & windows, wipe down all your kitchen appliances, and scrub the bathroom until it shines. 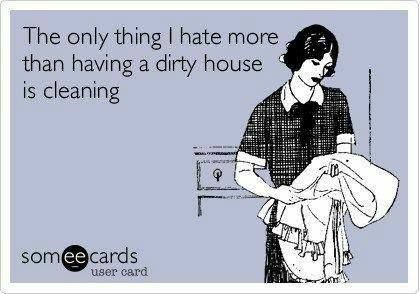 No one loves housework, but you’ll feel amazing afterwards when you see how fresh and sparkling everything looks! And you will fall in love with your house all over again, I guarantee it. 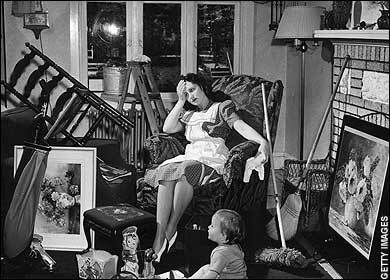 Lesson I learned from my Mom: the cleaner your house is, the easier it is to keep clean. Booyah. Sort your stuff and keep it organized. 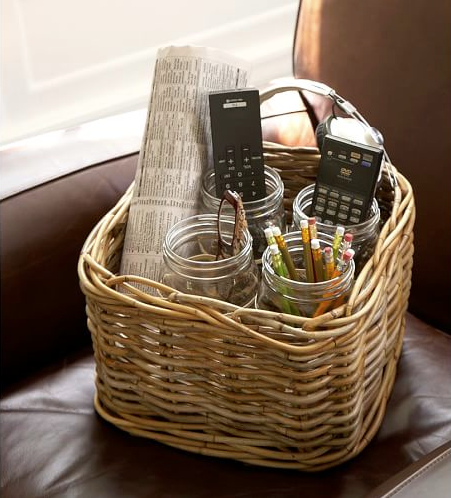 Identify your worst habits then tackle the areas in your home where clutter most accumulates. Most of the time, things pile up simply because we don’t have places to put them. But — congratulations! Since you’ve already purged and had a yard sale (Steps 1 and 2) you’ve created new possibilities for storage! Set up systems and stations that make it simple to maintain organization. File bills and paperwork promptly. Fold and put away your laundry when it’s done. Put your kitchen cupboards in order. Create a message centre for your family. Remember the old adage, “A place for everything, and everything in its place.” This will keep you sane! Bonus tip: use baskets wherever you can. Baskets make everything look pretty. Perspective is everything… to gain insight into how effectively a room functions, try moving the furniture around. For better functionality, designate “zones” within each space: a work zone, reading corner, seating & conversation area, etc. 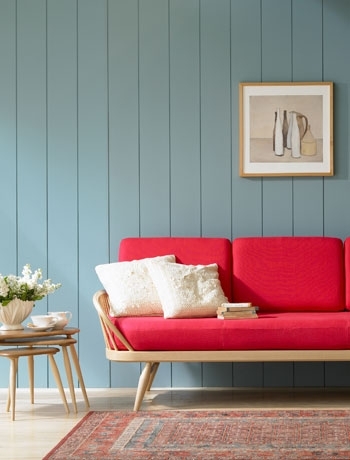 Experiment by moving sofas and chairs away from the walls and into the centre of the room. Switch out furniture with pieces from other rooms of the house… often things look fresher when used in a different space. Make sketches to scale on graph paper, and cut out furniture shapes (also to scale.) Play around with different configurations to see what works best. 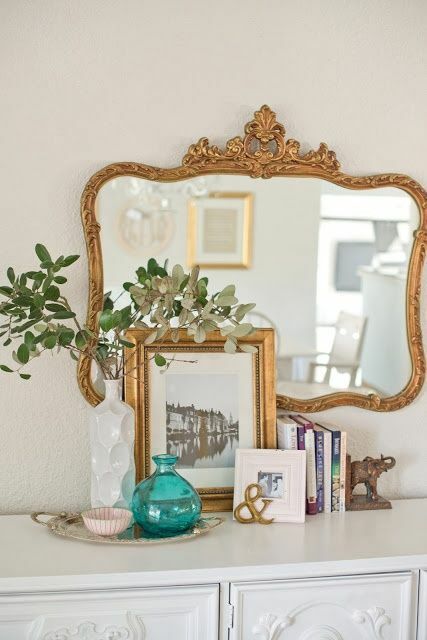 For instant visual interest, nothing beats a charming vignette. Choose items similar in colour or likeness, but varying in height and shape. You will find that one piece generally emerges as an anchor, so follow your instinct. Note that odd numbers are more pleasing to the eye, so consider grouping key items in quantities of 3, 5, 7, 9, etc. 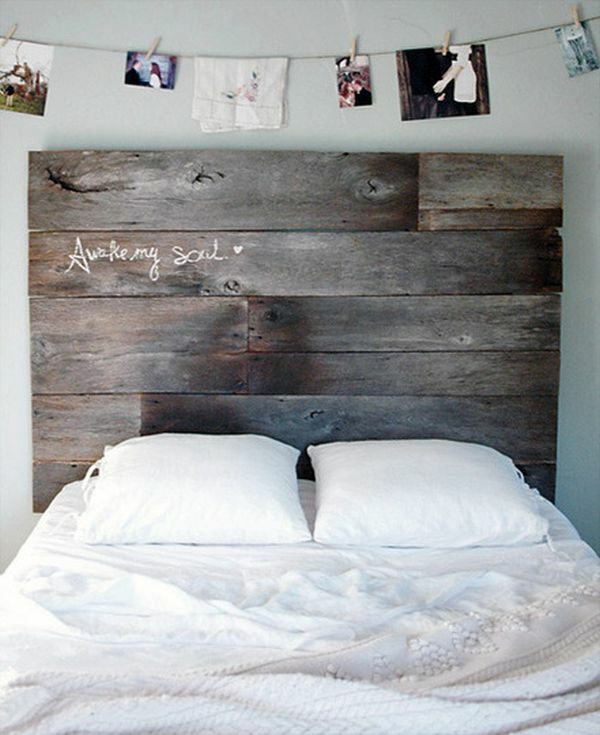 Get creative with unusual or cast-off materials, such as architectural salvage, or simply think of new ways to utilize everyday objects around the house. Reclaimed wood, old ladders, mason jars, shutters, bottles, frames all have so much potential. Every room has one. Identify the “money shot” in each space and play it up. Often it is an architectural feature such as a fireplace or a large window, possibly a feature wall. Sometimes, we have to create a focal point, which we can do by making an unusual item or statement piece the centre of attention. This can be achieved with artwork, a stand-out light fixture, or even a collection or vignette. To determine your room’s focal point, consider which feature in the space is the most interesting, and where most of the activity and attention is naturally directed. Enhance the area by adding accessories, colour, or other decorative details. Try updating your walls by reconfiguring existing art or photographs. Most people hang artwork and framed pieces too high. We think, “eye level,” but forget that most of the time, we are seated in a room, so our “eye level” in that respect is somewhat lower. Aim for 55 – 57″ on centre, which means the middle of the artwork will be at 55 – 57″. This will not only bring an additional dynamic to your space, but will help to make the ceiling feel taller. Try experimenting with hanging artwork even lower (see above) or on ledges. This brings art into our personal space, adding warmth and visual interest at close range. Consider the scale of your artwork vs. the size of your wall. 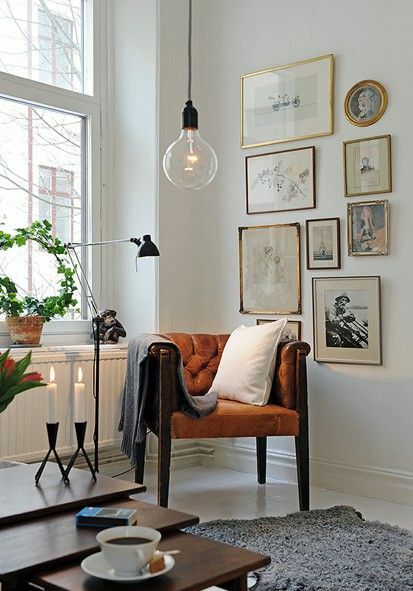 Avoid hanging a single small photo or piece of artwork on a large wall, and vice-versa. A collection of small items may be hung together in a group, to create a cohesive piece, like a gallery wall or an artscape. Try to keep the grouping visually balanced with a focal point, and varying sizes of art. When in doubt, make paper templates in the size and shape of your artwork and try out its positioning on your wall. Hanging your curtains higher and wider on a window will instantly add drama and sophistication to your room. 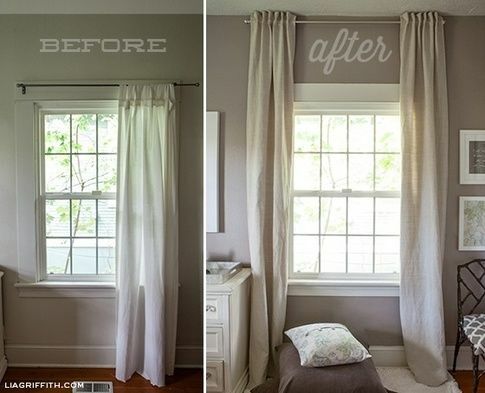 It will also make your window appear larger and brighter, since the light won’t be blocked by hanging drapery. And when you’re taking down your curtain rods to reinstall them, remember to take those window treatments to the dry cleaner to freshen up the fabric! 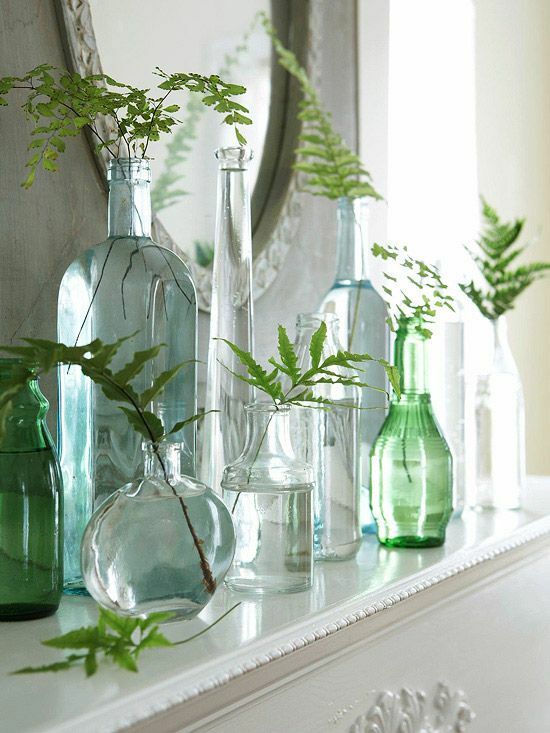 A beautiful and truly affordable way to maintain seasonal vignettes is to simply bring the outdoors into your home. In fall, gather acorns or pinecones and display them in a bowl. Collect fiery autumn branches in a vase. Plant perennials in your garden so you can have fresh-cut flowers all summer long. Go for a walk in the country in Spring to find roadside lilac bushes and wild daisies. Bring shells home from the beach or vacation destinations. At Christmas, clip greenery from your trees or shrubs to adorn baskets or your mantelpiece. With nature, the possibilities are limitless… and free of charge! Hi Dana, loved your latest blog you are such a good writer and with an amazing flair for design. All the best on your new aventure of interior design. Mid April will be fast approaching and you will be free. Thanks for your support, Louise! Best wishes to you, too!